A Muslim woman reads a holy book of Quran. The Smithsonian's Arthur M. Sackler Gallery announced Tuesday that "The Art of the Qur'an: Treasures from the Museum of Turkish and Islamic Arts'' will bring 48 manuscripts and folios from the museum in Istanbul together with manuscripts from the collection of the Sackler and Freer Gallery of Art, which are together the Smithsonian's museum of Asian art. The exhibition is set to open Oct. 15, just weeks before the presidential election, through Feb. 20, 2017. Islam and the Quran may come up during debates and discussions, but Massumeh Farhad, chief curator at the Sackler and Freer and curator of Islamic art, says this exhibition is a chance to present a different story. She calls it an opportunity to "focus on the importance of this as a work of art and importance in art history. Why are these Qurans special? The Arabic text of the Quran was fixed as early as the late 7th century, Farhad said, but the variety in Qurans is "staggering." The exhibition will showcase different styles of calligraphy and illumination. Visitors will be able to compare different Qurans and "see the sweep of history in front of us," said Sheila Blair, an art history professor who specializes in Islamic art at Boston College and Virginia Commonwealth University. "It shows how diverse the Muslim world is." These Qurans were commissioned by elites and created by artisans, but they also had second or third lives noted in inscriptions that reflect the history they witnessed, said Simon Rettig, assistant curator of Islamic art. One Quran completed in 1307 for the tomb of Mongol leader Uljaytu in Soltaniyeh, Iran, was taken to Istanbul by Sultan Suleiman the Magnificent in 1531 and went to his relatives. "This book has had more incredible moments than I've had in my life,'' Rettig said. 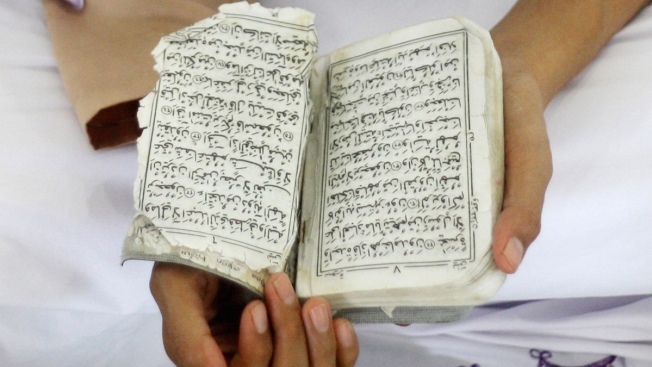 These Qurans span nearly a millennium, dating from the late 7th or early 8th centuries (not long after the time of Muhammad) to the 17th century. These Qurans originally come from the Near East, Egypt, Syria, Afghanistan, Iran, Turkey and Iraq. In the waning days of the Ottoman Empire, the government transferred valuable artworks across the empire to Istanbul and they're now kept at the Museum of Turkish and Islamic Arts. Why put on this exhibition? The show is an opportunity for people to see these Qurans up close in the United States and "reflect on their own assumptions," said Julian Raby, director of the Sackler and Freer. He calls it a "fitting complement" to a 2006 exhibition of Bibles before the year 1000.